Lucy Hunt is a marine biologist, ocean advocate, Leave No Trace trainer and health coach with a MSc in Marine environmental protection. Lucy has worked all over the world in marine research and awareness and after working in marine education for over ten years she decided to open Sea Synergy Marine Awareness & Activity centre in her hometown Waterville in 2014 where she operates a unique sea life exhibition and a variety of workshops and activities like beach discovery walks and guided snorkelling. She loves empowering people of all ages through the marine environment creating a connection between people and the ocean and encouraging conservation. 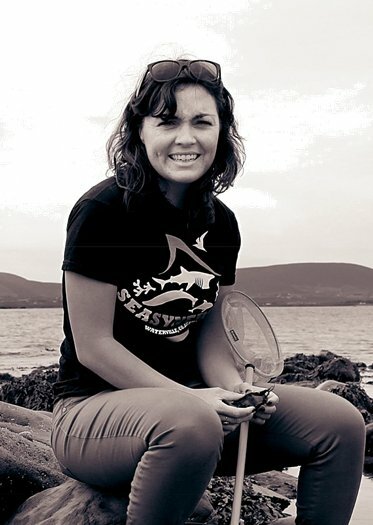 She has been involved in various research and conservation projects worldwide and in Ireland with the Irish Whale and Dolphin Group and The Irish Basking shark project. 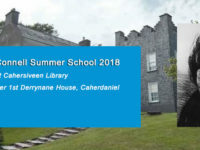 She has also set up new research projects whilst managing her marine awareness centre allowing international students to gain valuable experience in marine research and education through Sea Synergy and obtain valuable data on marine wildlife in the SW Kerry region. 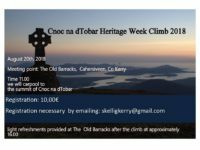 She was awarded an Irish Responsible Tourism Award this year for best natural heritage and has been shortlisted for a maritime tourism award and Kerry business woman award. Her biography can be found on her website at www.lhmarine.ie or follow us on Sea Sy-nergy Facebook to know about upcoming events & activities!